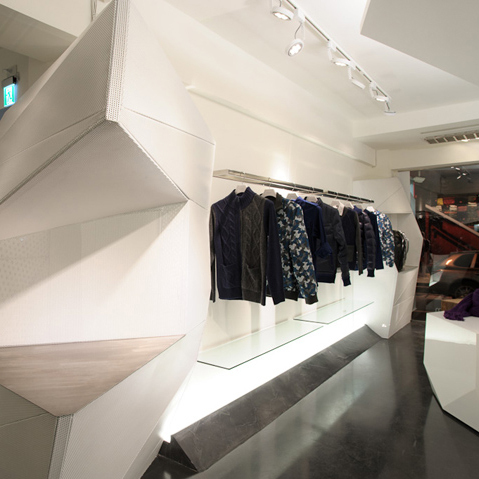 The highlight is an Arctic Room in which FN.ice’s outdoor jacket would best demonstrate its performance. FN.ice is about fire and ice: the fire is in their sustainable outerwear and the ice is in their space. Icebergs made from jagged white wall-paneling and cube-like blocks, lighting that streams from the floors and ceiling, and angular, shiny walls tell the FN.ice story.